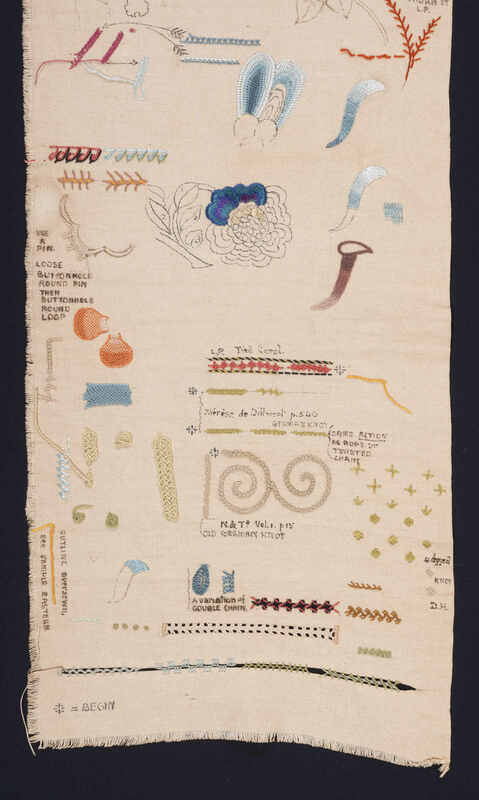 Erica Wilson’s passion and talent with a needle spearheaded the needlework revival of the 1960s–80s. Born in England and trained at the Royal School of Needlework in London, she immigrated to the United States in 1954. 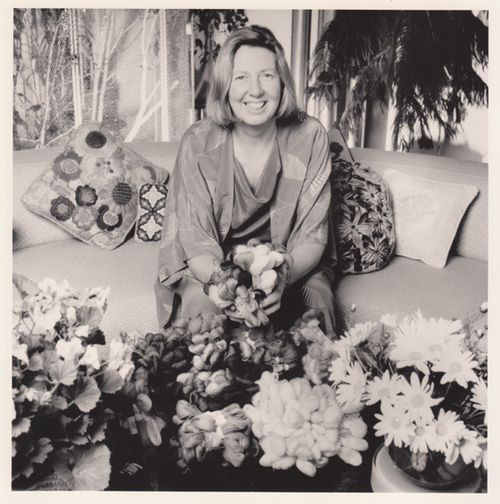 Through her classes, pioneering how-to books, original needlework designs and kits, and her PBS television show, Erica, Wilson inspired a new generation to master and enjoy traditional needlework crafts long out of fashion. 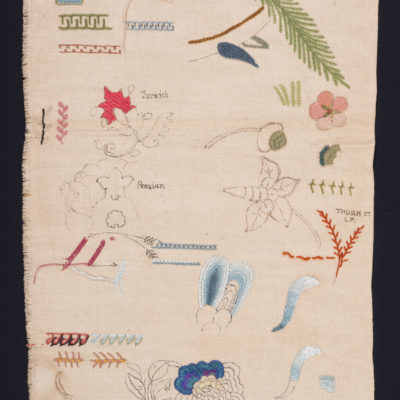 Side by side with Winterthur’s collection of historic needlework pictures from the 1600-to-1800 time period, these study objects document the preservation and adaptation of historic needlework techniques over time. 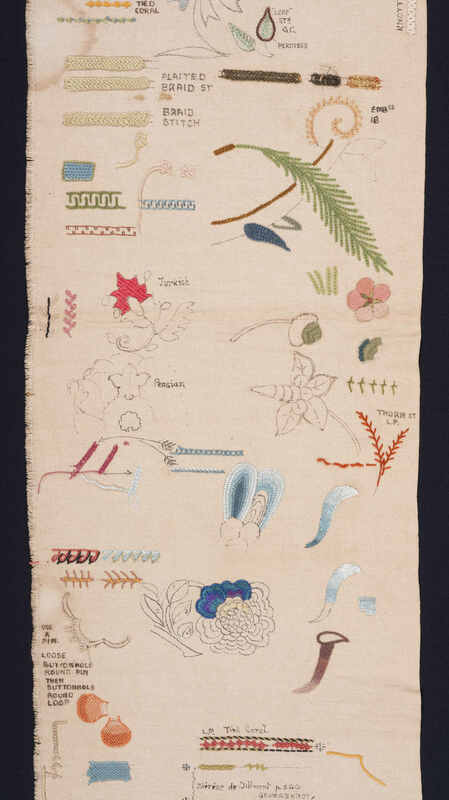 The work of “America’s First Lady of Stitchery” is an exciting accompaniment to Winterthur’s important textile collection. 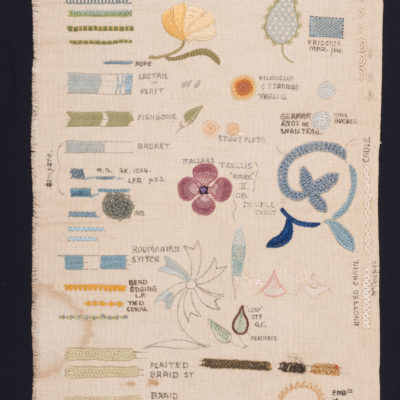 Erica Wilson (1928−2011) created this reference sampler as a student at the Royal School of Needlework in London. 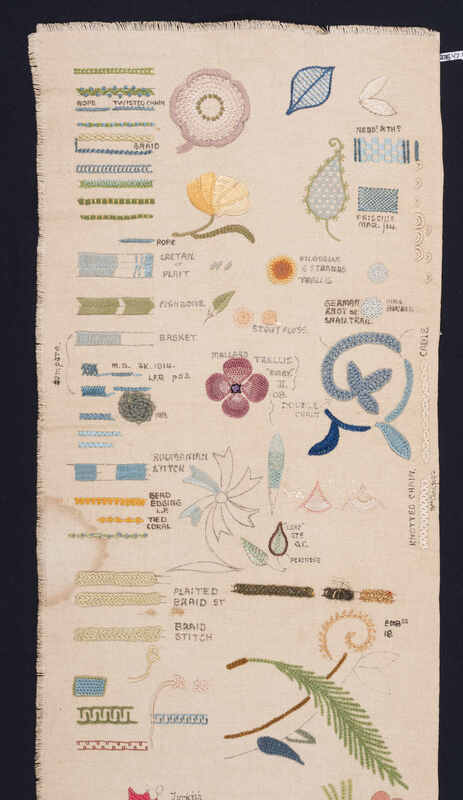 It documents her mastery of the seven basic stitches of needlework―stem, satin, chain, cross, back, weaving, and filling―and their more advanced applications. It also shows her skill in working with a variety of materials, including silk, wool, and metallic thread. Erica Wilson mastered traditional needlework methods, but throughout her career she also enjoyed creating more modern, playful designs. 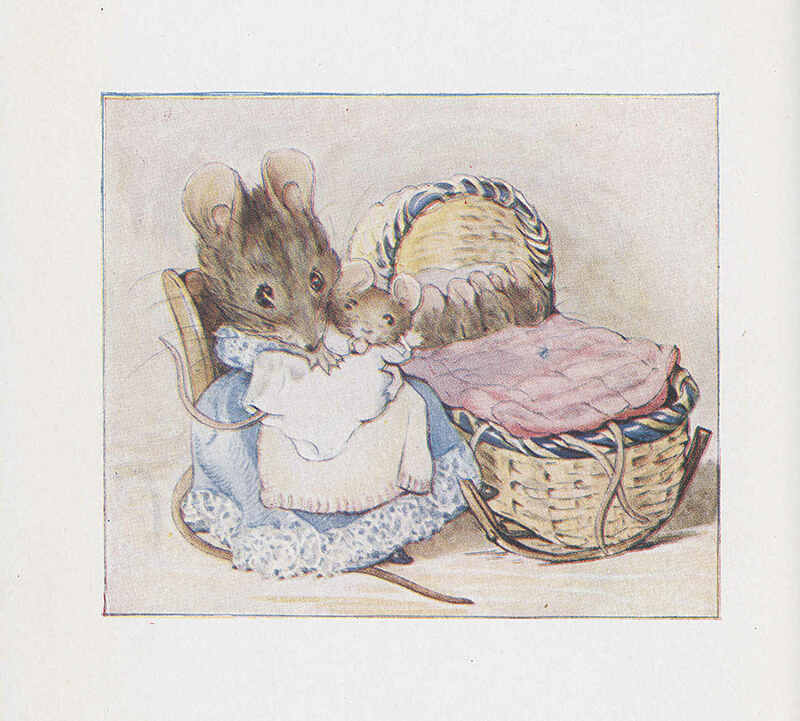 She adapted this needlework picture from an illustration in Beatrix Potter’s Tale of Two Bad Mice (1904), a beloved childhood story that follows two bad mice, Tom Thumb and Hunca Munca, as they explore a red brick dollhouse. 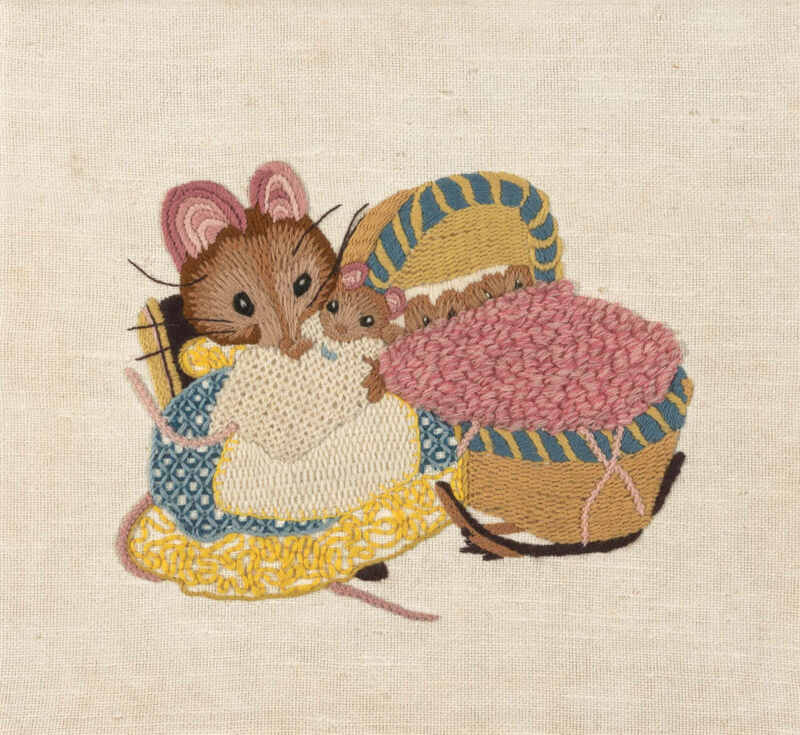 The image Wilson selected for the needlework shows Hunca Munca laying her baby in a cradle she pilfered from the dollhouse. Erica aired on PBS stations nationally from 1971 to 1972 and 1975 to 1976. 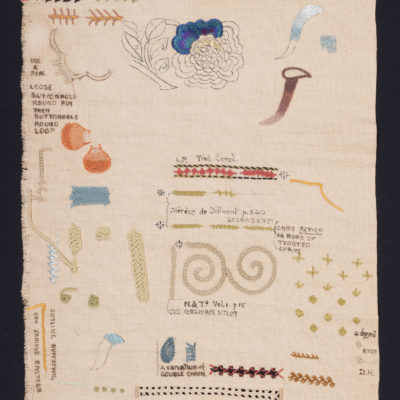 Much as Julia Child’s show The French Chef simplified French cooking for the general public, Erica Wilson’s television program demystified the art of needlework. It made what was nearly a lost art understandable and accessible to American audiences. This episode, “Crewel Point,” aired on January 25, 1972. 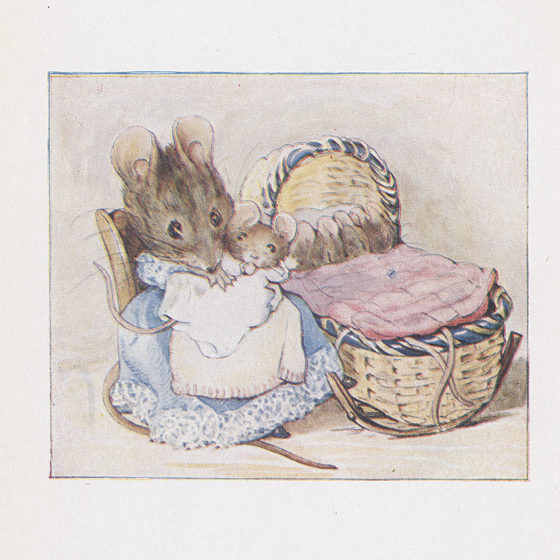 In fourteen minutes, Erica walked her viewers through the steps involved in working her crewel point picture Hunca Munca, which she adapted from Beatrix Potter’s Tale of Two Bad Mice. Erica’s command of needlework technique is obvious. She easily describes the differences between the weaving, chain, buttonhole, and turkeywork stitches that, together, build the whimsical picture.